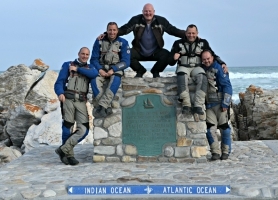 GS Adventures Motorcycle Tours is a uniquely owner run and managed motorbike touring company that welcomes all and any make of motorcycles. 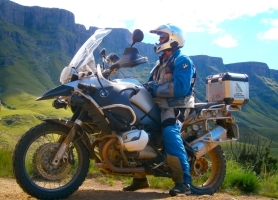 We have, through our years of riding and touring experience, found some of the most beautiful areas and best-kept secrets South Africa has to offer. 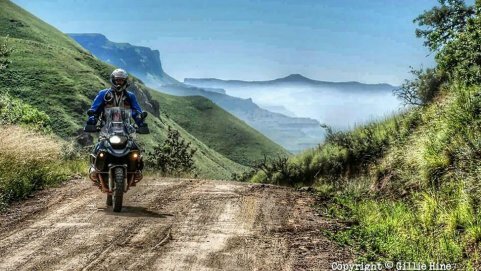 If you thought that Botswana, Zambia and Mozambique, to mention only a few, were only accessible to dual-purpose motorbikes think again! 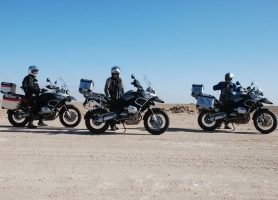 With a great selection of on-road and off-road motorcycle tours GS Adventures strives to offer you our client the best, most affordable packages available. Don’t just add us to your bucket list, put us at the top! A truly magnificent motorcycle trip! A unique way to travel from Johannesburg to Cape Town using mostly gravel roads. 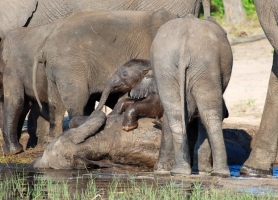 This 14 day trip starting in Windhoek, Namibia takes you North to the Etosha National Park for a full day safari. 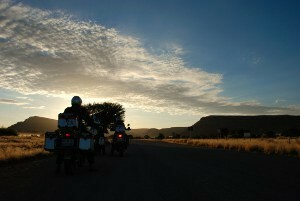 Travel by motorcycle from Johannesburg to Botswana and onto Namibia for stunning dirt road biking. A visual overload with stunning adventure motorcycling roads. Visit 5 countries, cross 5 well-known rivers, travel across 5 huge bridges spanning these rivers and visit 5 awesome water masses in Africa. Enjoy tiger fishing on the Okavango and ride the Makgadikgadi Salt pans, a vast expanse which boggles the mind! 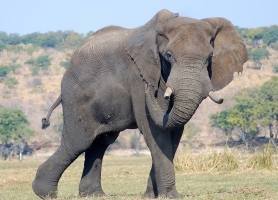 From the famous Kruger National Park through Kwazulu-Natal, the East Coast and Western Cape. 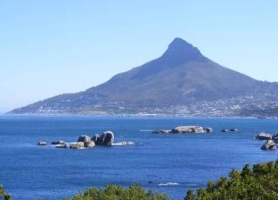 Visit Cape Point and travel the beautiful Cape Peninsula roads and much more! 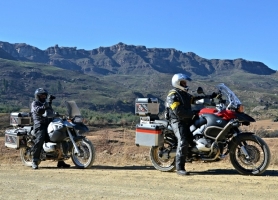 A dirt road adventure through the Eastern Cape and the Free State. 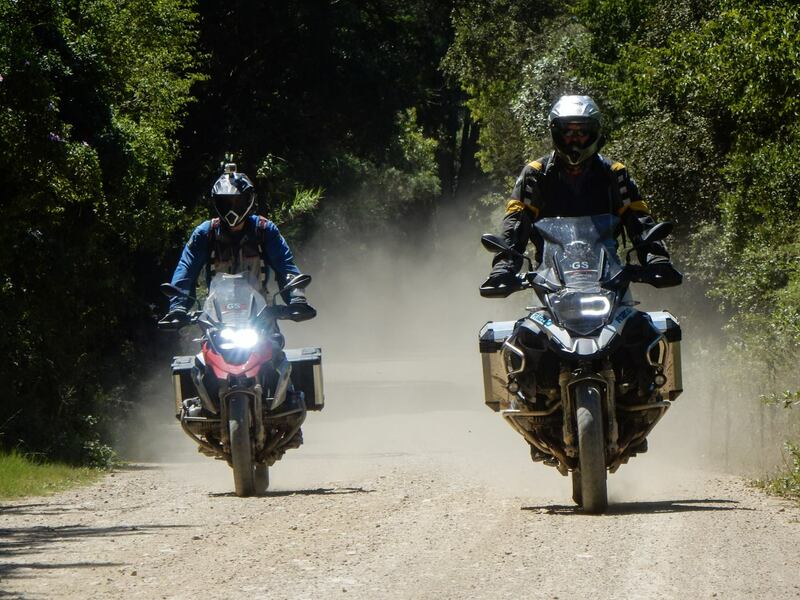 Taking the very best gravel roads that South Africa has to offer. 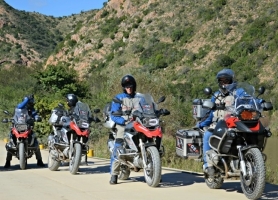 Motorcycle through magnificent scenery at every turn in the most spectacular surroundings. 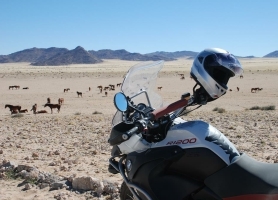 Take in some of the best motorbiking that Namibia has to offer.